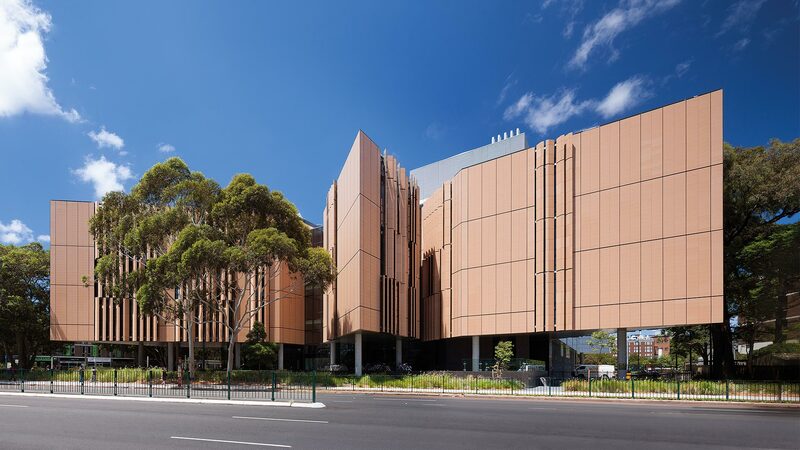 Situated on the gateway site of the University of New South Wales main campus, at the junction of the Mall and Anzac Parade, is the Tyree Energy Technologies Building. The site is of considerable strategic importance, as it occurs at the nexus of what can be considered as three interconnected 'urban zones.' Each of these zones has a particular landscape and built character that overlap and intersect with the building form, responding by differentiating form, scale, and detail complexity. 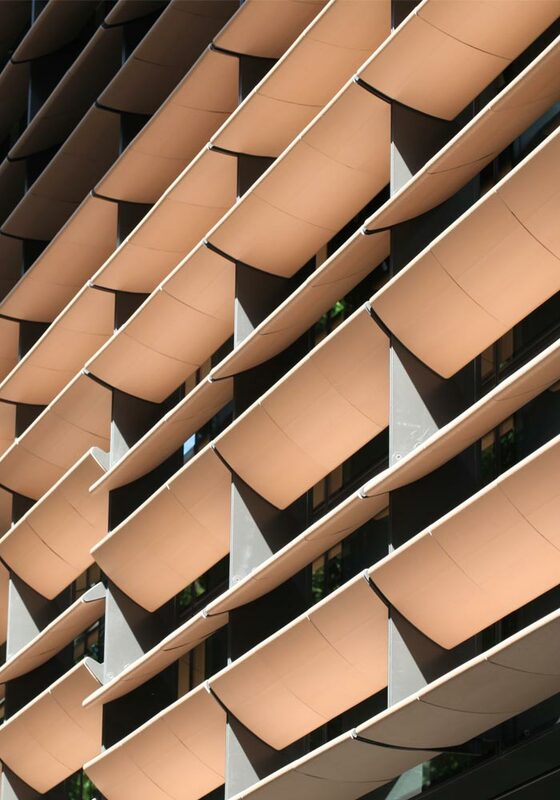 Each of the building’s façades are different and are characterised by a contextual design response. 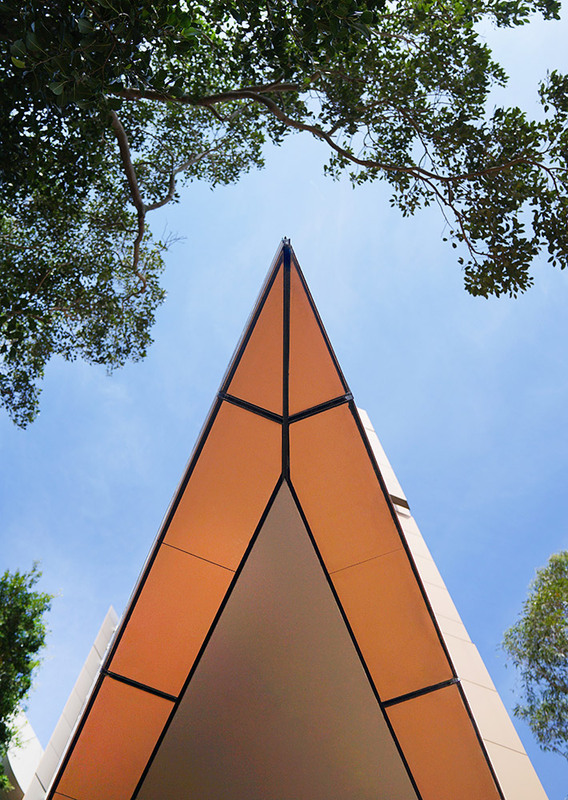 Interwoven with the existing eucalypts, a series of form fragments open along the Anzac Parade frontage in a distinctive gesture of openness and welcome. 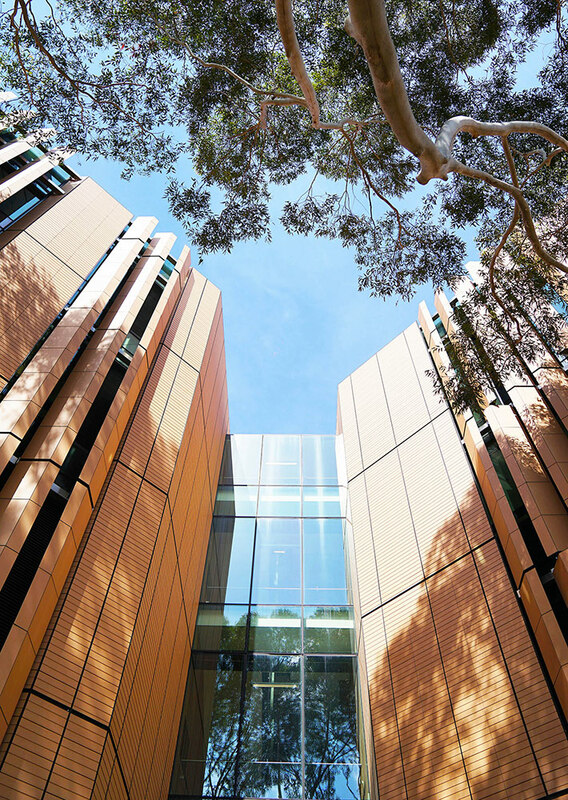 These forms create an urban transition, or symbiotic weave, from the street-aligned blocks to the south to the verdant campus landscape to the north. 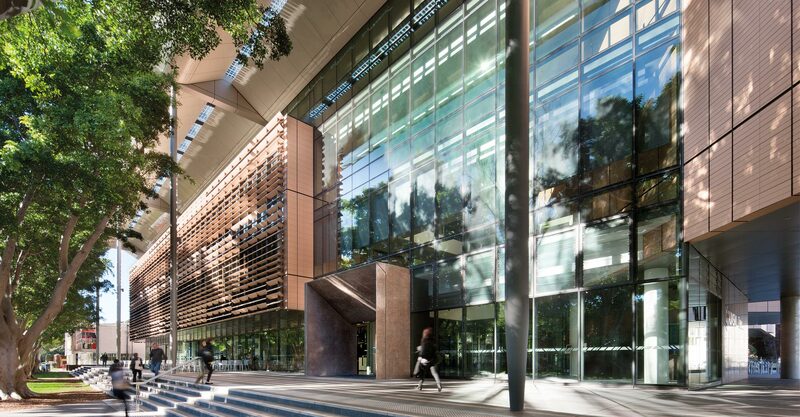 A sensitive approach to the Mall, designed by Professor Spooner, was required for this frontage to enhance the character of this significant landscape—integral to the identity of the university—so by creating a continuous raised platform with north-facing seating steps, it transitions and visually extends the ground plane of the Mall into the building. 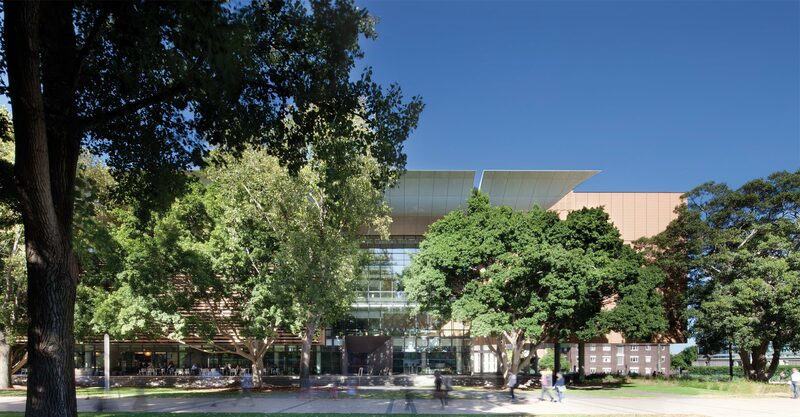 Overhead, a dramatic profiled roof is scaled to float above the canopy with a horizontal datum based on the mature height of the fig and cottonwood trees along the Mall. 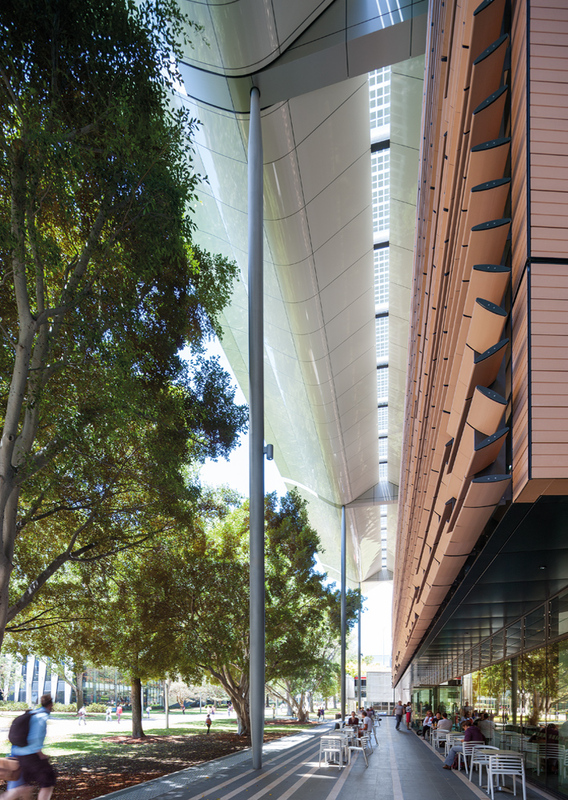 To the south, a series of articulated rectilinear forms reflecting the internal laboratory modules are set back to extend the street vista of Day Avenue into the site. The eastern laboratory module is turned to acknowledge the orientation of the Village Green. Three key principles drive the interior design and spaces: interaction, transparency, and flexibility. 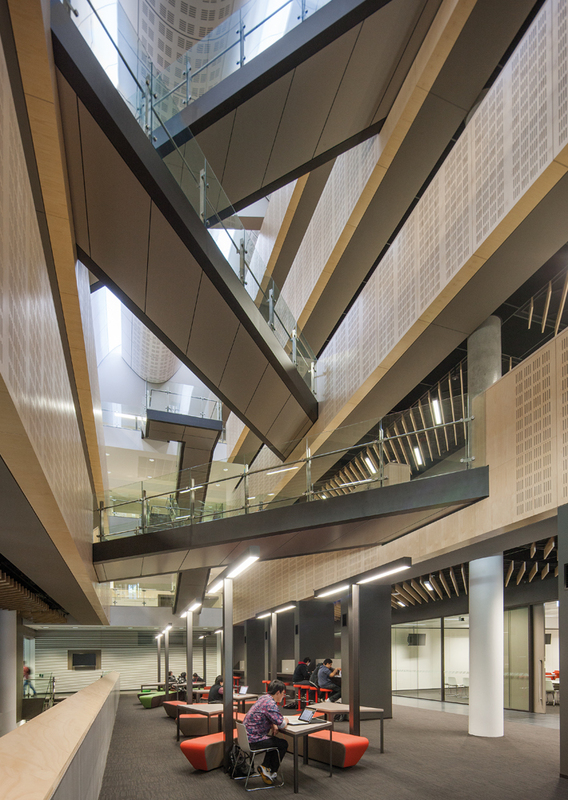 Occupant interaction is encouraged by providing generous building circulation paths, social hubs, meeting rooms, oversized stairs, bridges and interconnecting labs. 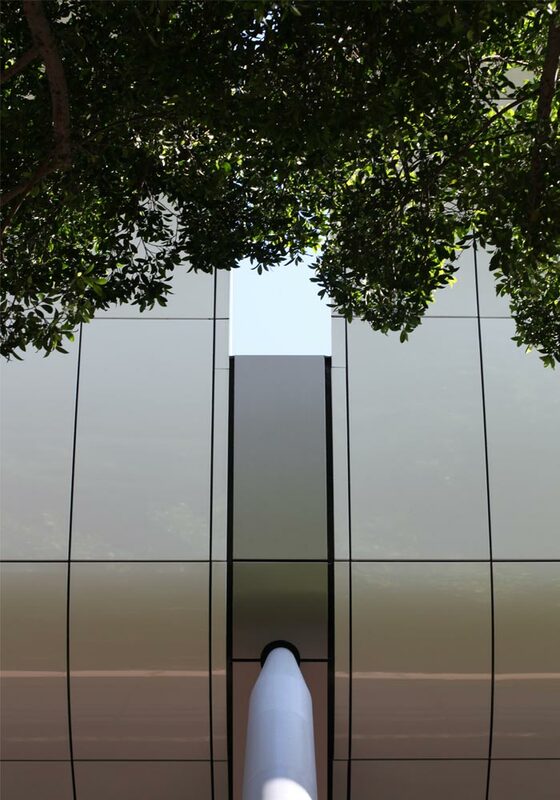 Functions of the building are opened or closed through varying levels of transparency, in both the façade and interior design. 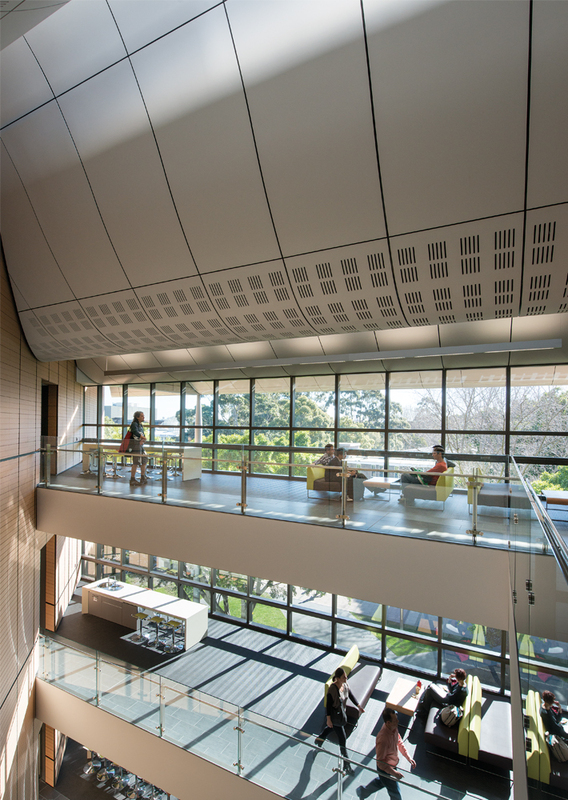 Laboratory spaces are conceived as flexible modules to be either separate, connected or combined as required, enabling the university to adjust spaces over time. We applied an interdisciplinary, collaborative and integrated approach to sustainability originating with our initial competition entry and continuing through documentation and construction to operation. 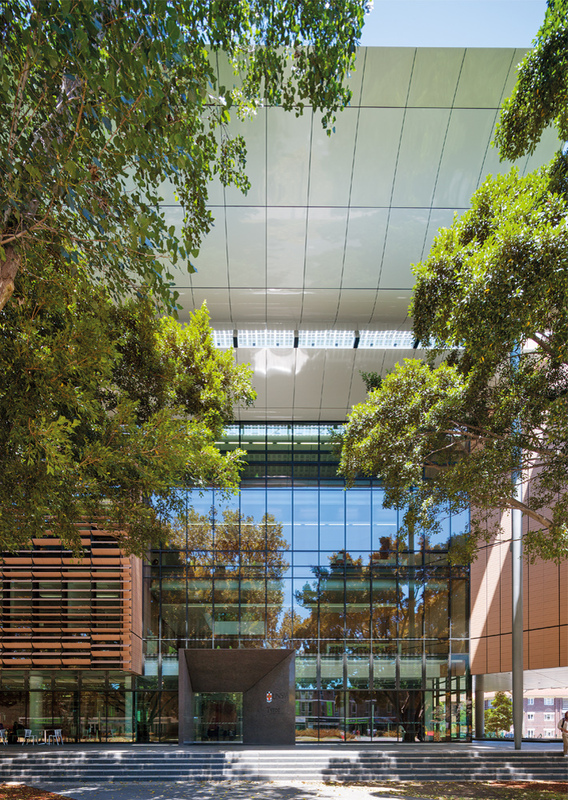 The building was conceived with sustainability at the forefront, to reinforce the world-leading research by the occupants; an achievement recognised by the Green Building Council of Australia with a 6 Green Star certification (Education v1), the first laboratory in Australia to achieve this world's best benchmark. Our design concept seeks a balance and resolution of the various aspects of the brief combining functionality and flexibility in the creation of best-practice environments for teaching and learning, research and workplace, aligning with the iconic aspiration of the university’s strategic vision for this important gateway site. The expansive atria, overlapping spaces, and opening of vistas to the landscape and campus beyond maximise circulation and the visibility of occupants. A sympathetic synthesis of architecture and landscape is achieved through a rich interweave of built form and landscape, modulating space and light.